If you have never made shaker cards before, it couldn't get easier using supplies from SEI. Their shaker set comes with round and square windows and bitty beads for filling. 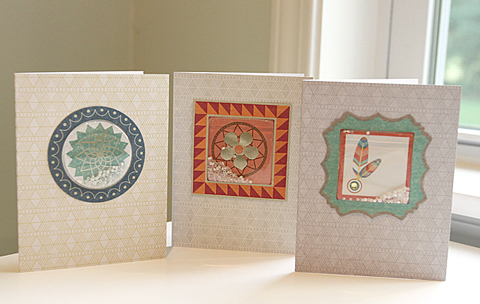 I used the Daydreamer collection's pre-cut and folded card bases to make three simple shaker cards. Simply remove the adhesive backing from a window, fill it with beads and attach your paper backdrop. 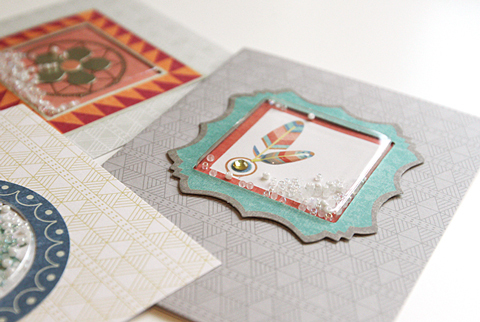 The square and circle die-cuts in the Daydreamer kit are perfectly sized to match each shaker window. How fun are these shakers? Besides beads, you could add small jewelry charms to the inside of the windows. Would love to see what shaker cards you make... feel free to share in the comments!